18-7-2012 and 12/13-8-2012 from Amsterdam via Lisbon to Newark USA. Both flights Amsterdam-Lisbon v.v. we had old airplanes with little leg space worn leather seats and uninterested personnel. Flight from Lisbon to Newark was with an ancient Airbus after 2.5 hours delay due to technical problems and had no inflight entertainment. The flight from Newark to Lisbon had inflight entertainment and remarkable nice personnel. Leg space and food were reasonable on these long hauls. 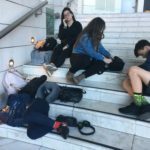 However the sorry state of Lisbon airport which serves as the hub for TAP made us decide to never ever fly with TAP again. I have never had so many inconveniences during one flight. During one trip with transit in Lisbon our first flight delayed 2 hours our second flight for 5 and a half hours. 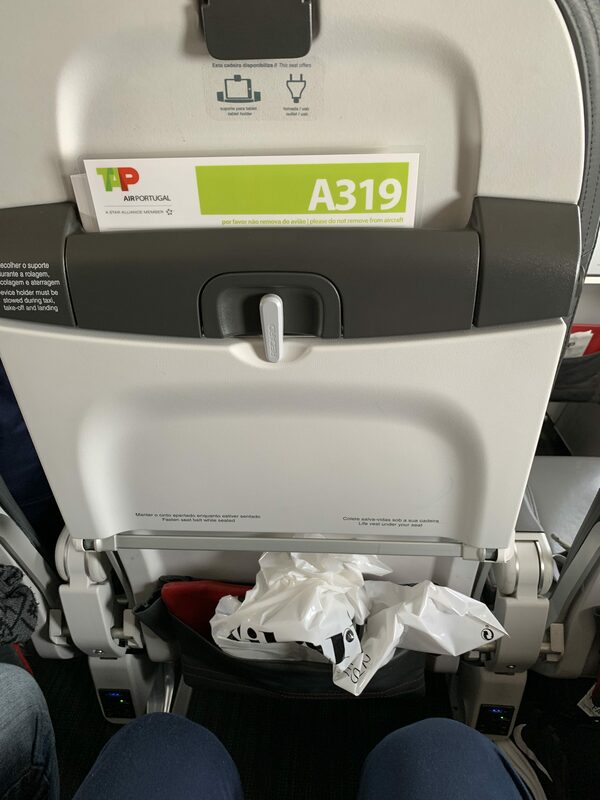 On the flight from Madeira to Lisbon (1 hr 30 min duration) there was no meal service on board the crew didn't give passengers even a glass of water it was impossible to get meal vouchers at the airline service desk and finally our baggage did not arrive to our final destination. 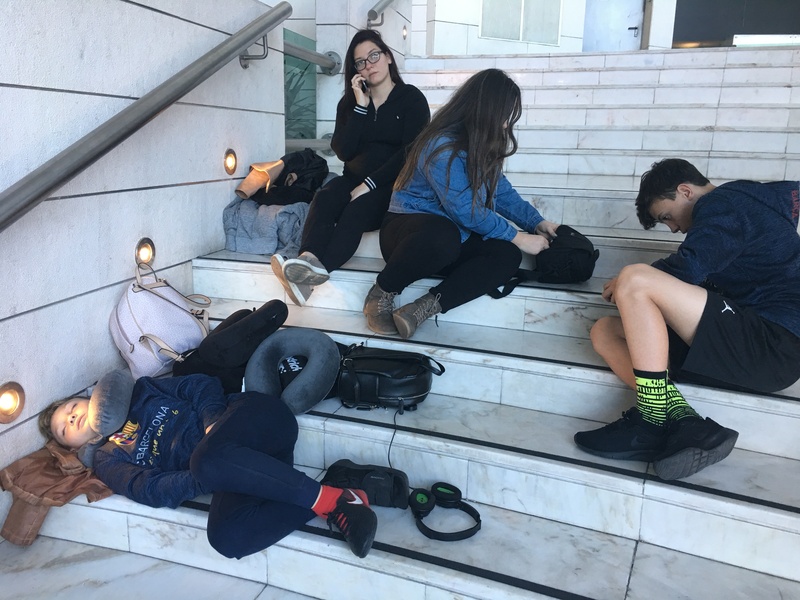 After 5 and a half hours transit time in Lisbon we are still waiting for them after 3 more days. 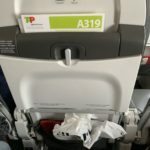 I flew Prague to Lisbon and back in one week. Flight to Lisbon was 10 hours late they said there was no aircraft available and on the top of it that the flight was oversold and somebody would have to stay in Prague. They left us waiting several hours without information. Flight originally scheduled at 7.30pm during check-in at 5.30 they said they might have some information at 7pm at 7 they said at 9pm and at 9 they postponed it to 11pm. Only at 1.50am we learned that we would fly at 5am. We got vouchers for refreshments and in the end also a hotel room. When we finally took off none of the crew found it necessary to apologize for the trouble. The flight back to Prague was 3 hours late they did not serve any food and explained that there was not enough crew to serve it. Eventually kids got their meals and adults got a cup of water on request. I have flown TAP many times from Newark to Porto and I have no complaints. As TAP is the only airline that flies direct from the NYC metro area to Porto I frequent TAP when I go to Portugal. For about $100 more than airlines like Iberia that require me to transfer in Madrid I rather not give myself a hassle and fly direct. Flights are almost always on time. 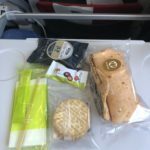 The food is average airplane food and 2 or 3 choices are always offered. Flight attendants are fulfil requests with a smile. The entertainment system on long haul flights is a huge plus. Updated IFE's on some of the planes are even better. Highly recommend! Lisboa to Bruxelles on 29 July 2012 was more than hour late. Business class meal on this 2.5 hour flight consisted of nuts and a glass of water or orange juice. The inflight entertainment was the same Canadian hidden camera video as on my TAP flight six days earlier and some culinary videos. Flew from Heathrow to Lisbon on to the Azores. Flight out to the Azores was 3 hours late because they said they had no crew. Coming back to Heathrow the flight was at first 15 minutes late then another 15 minutes late and then another 15 minutes late taking off because we were already late and lost our slot got to over Heathrow and the plane was again 15 to 20 minutes late landing because we were late leaving Lisbon and lost our landing slot. The planes looked dirty and worn but had leg room. 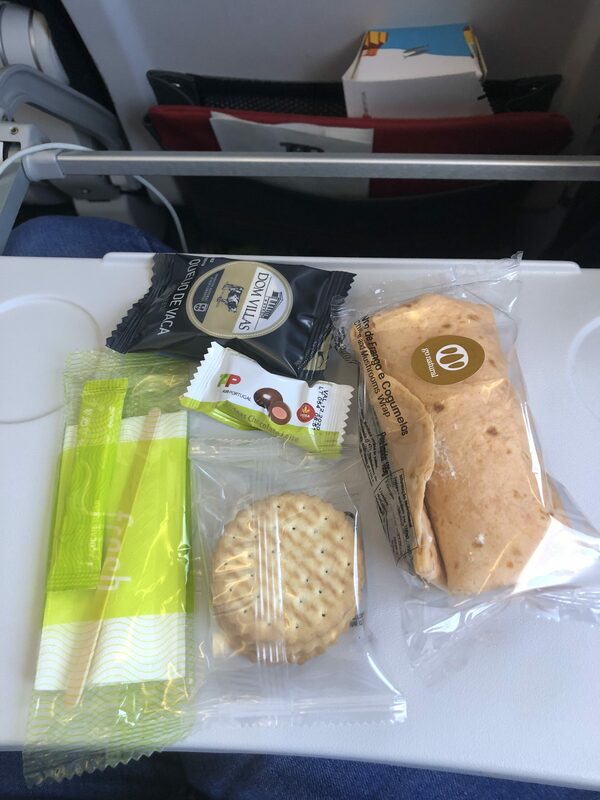 The only positive experience of the trip was the cabin crew on all flights seemed nice but the offered "meals" were not very good. We flew for £193 per person to Portugal from London. It didn't start well as our flight was delayed by 1 hour for an 'unknown reason'. However we soon boarded the plane and it was ok. TAP is a high class budget airline. Don't expect much. If you want a cheap flight I recommend them for their price. If your going on a long haul flight and your going on economy maybe look somewhere else. AMS-LIS on 16th of July. Evening flight carried out by Portugalia Airlines which was a nice treat! Great leg space very cosy little Fokker 100 and friendly staff. On return flight we had a TAP A320 series. A little more crowded due to the seating but still very good for flights in Europe I suppose. I like the fact that there was a high standard of service as well as meal service. I would definitely fly them again! LIS-ZAG-LIS. First flight delayed 2 hours with no explanation. When boarding we were informed there would be no catering services as they were flying with minimum cabin crew. Three hours of flight with not even a single glass of water being offered is not acceptable.. The leather of their seats needs urgent refurbishment. Cabin crew very ineffective and uninspired. I flew with TAP 3 times two internal flights LIS-FUN-LIS and regional flight LIS-MUN. I'm on their loyalty program so try to be very supportive of them. Once in the air I think TAP is fine and I do enjoy their food in Business Class. But getting going is the issue on all 3 flights there was a delay. First 3 hours after changing aircraft 3 times then a 1.5 hr delay and finally an improvement but still 20 minutes late. The fact that I spent 5 hours extra in airports with the same airline makes me question whether they are reliable at all with their time.